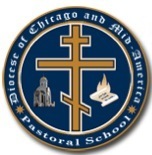 The grant is considered as part of the Fund's clergy assistance program which is designed to help needy ROCOR clergy as well as promote their education. The grant will be used for 5 student scholarships ($1,800 each) and 2 faculty stipends ($500 each). Most faculty work on a volunteer basis.